compassion to a hurting and fragile world. 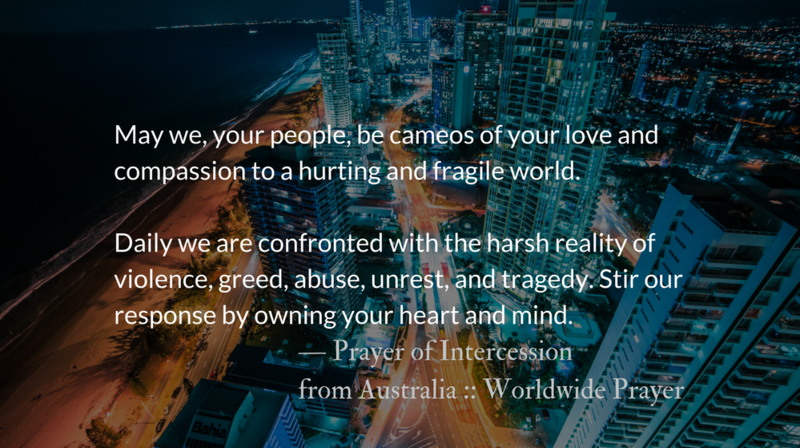 abuse, unrest, and tragedy. Stir our response by owning your heart and mind. Diligent in seeking and claiming truth. Your light never fails, is never extinguished. Warm our hearts with the fire of Christ’s love so that wherever we go we will communicate Jesus Christ. In His divine name we pray. 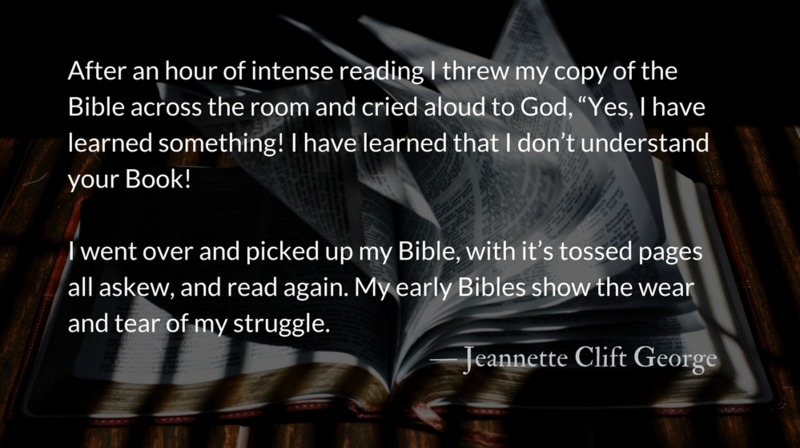 Jeannette Clift George, in her book, Troubling Deaf Heaven, relates her early struggles with God’s word. Someone told me to read the Bible until I understood something from the reading. After an hour of intense reading I threw my copy of the Bible across the room and cried aloud to God, “Yes, I have learned something! I have learned that I don’t understand your Book! Now can I stop reading it?” And then, still muttering over the details of my problem, I went over and picked up my Bible, with it’s tossed pages all askew, and read again. My early Bibles show the wear and tear of my struggle. Truly enough Kierkegaard asserts that the Bible is easy to understand and we merely feign misunderstanding to shirk its demands on us. However, many of us, especially in the early steps of discipleship and study, do struggle with it. This is in part because we often approach the Bible as consumers, treating it as a store full of solutions to our problems. When we do this, we easily are overwhelmed by its shelves, confused by its organization, and frustrated by seemingly inexplicable products. But the Word of God is not a catalog of helpful quotes, and our approach to it must be more than scholarly or no amount of gleaned facts will feed our faith. Then, one day, one reading, all of a sudden I saw me in the Scripture. My need—my question for the day, my tears for the evening, my fears for the morning, me—in God’s Holy Word. That made all the difference in the world. That’s why I keep praying even when God’s silence infers the communication is out of order. I found me in his Word because he put me there. God put me in his Word that I might hear him in the silence, that I might hear him in the midst of arguments with him, that I might know that he knows me and loves me because he said so. In our rhythms of prayer and reading, we do not pursue mastery of content as much as we pursue a relationship with the Master of the content—a relationship with the Holy Spirit that goes beyond bringing the text to life and joins us in walking through our life. You are the Almighty Creator of this Universe. You are full of mercy and love. 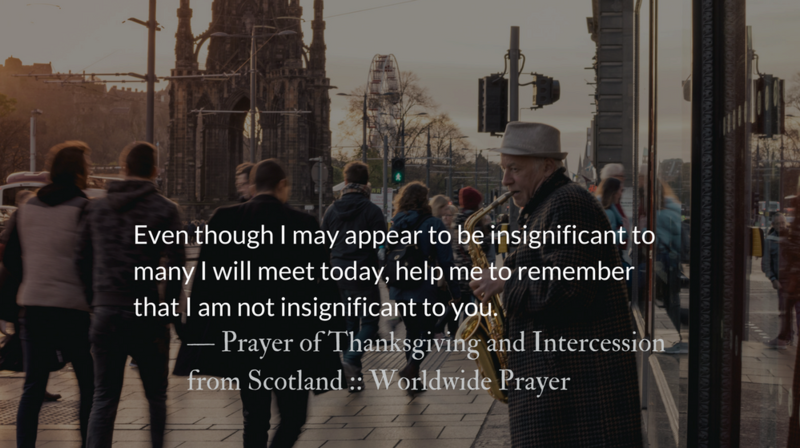 Even though I may appear to be insignificant to many I will meet today, help me to remember that I am not insignificant to you. You are a holy and righteous God. Thank you for making in possible for a sinner such as I to be saved and become one of the children whom you love. Thank you for loving me so much that you died for me on the cross. May your precious blood shed on the cross keep on cleansing me from all my sin. May your tender presence strengthen, guard and keep me this day. Thank you for the gifts you have given to me so that I can serve God and others. Help me to faithfully use them today so that you may be glorified. Make me more like Jesus do that my life will bring forth fruit that will please Him today. Therefore I will not keep silent; I will speak out in the anguish of my spirit, I will complain in the bitterness of my soul. Job was a godly man. There was no issue of willful sin in his life, nor was God angry at him. Still, he was struggling through an extremely difficult season of suffering. One in which there were many questions, but few answers. 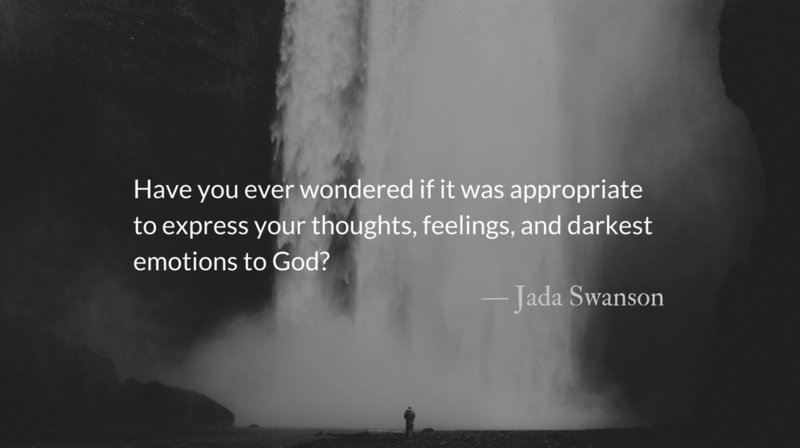 Have you ever wondered if it was appropriate to express your thoughts, feelings, and darkest emotions to God? The majority of people are hesitant to share their true feelings in the normal circumstances of life, much less when life blows up. Throughout the Bible, we are encouraged not only to identify our feelings, but to express them. Take for instance the life of our Savior. In the Gospels, we discover that Jesus expressed various emotions. He grieved when his friend died. He got angry at the money-changers in the temple. And he wept for the people of Jerusalem. Although it is common for people to wear masks, which disguise their authentic selves, God knows everything about us. There is nothing hidden from him. As such, dismissing and minimizing one’s emotions is never the answer. When we do so, we give them power and control of our lives. Instead, it is best to embrace our emotions, even the dark ones, recognizing that they are essential to processing and conversing with God, especially when we are facing seasons and situations that we do not understand. Have you been in the habit of concealing your true thoughts and feelings? If so, understand the importance of being real not only with yourself, but with God. Talk to him openly and honestly. Share your feelings and struggles. In doing so, you will pave the way for healing to begin. With these words, Job responds to the accusations of Eliphaz. He felt that he was being unjustly judged by his friends. Since they had not suffered the great loss that he had, there was no way for them to understand his grief. The raw emotions that are expressed cannot be truly understood unless one has walked this journey. It is easy to see God’s grace when things are going well. But in the midst of suffering—when we don’t sense any positive change in our circumstances—we can start to question God’s goodness and his love. Not to mention, navigating the advice of others while in the midst of great pain and suffering can be an added trial. To be sure, Job’s friends doled out quite a bit. Suffering and brokenness are common experiences to which all who live in this world can relate. 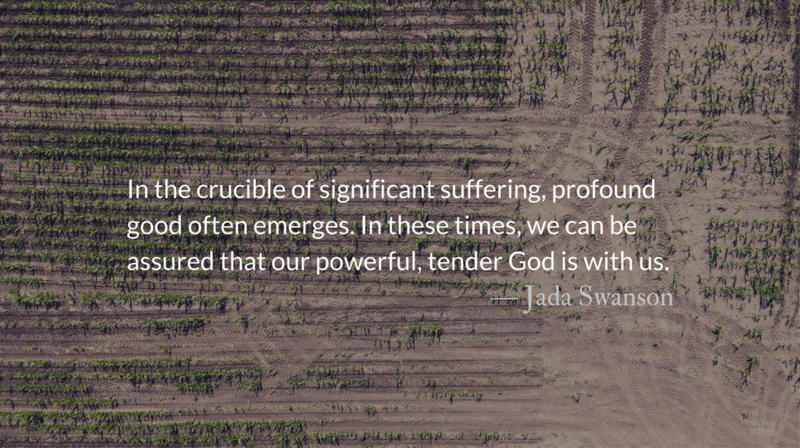 Yet, many tend to gloss over suffering, thinking it is unspiritual to dwell upon it. The pain of suffering is like a visit with an unwelcome friend. Still, the importance of sitting with this intrusive companion, learning from the experience, and, in the end, being transformed cannot be minimized. It is essential in navigating the journey of suffering and loss. There is a deep richness that comes to people who face suffering biblically. A key to this richness is a joy and a contentment that difficult experiences cannot steal. Unfortunately, many Christians do not look at suffering in this way, and run from it, instead of facing it head-on. Are you in the midst of a trial, experiencing great loss, suffering without hope? You may wonder is God being too heavy-handed? Or if this kind of suffering is “normal” for a Christian’s life? Those are honest questions. And, sometimes, the answers do not come as quickly as we would like. In the crucible of significant suffering, profound good often emerges. In these times, we can be assured that our powerful, tender God is with us, helping us discover meaning and purpose in the trials we experience and the suffering we endure. Those who sowed with tears will reap with sons of joy.